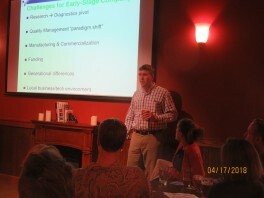 About two dozen people showed-up last night at the Casual Pint in Hardin Valley for the latest Life Science TN “Beer & Biotech” meet-up. The event, which is becoming more frequent thanks to two University of Tennessee, Knoxville graduate students, featured a presentation by Eric Mayer, Chief Executive Officer of EDP Biotech Corporation. He discussed the company’s journey including its recent pivot as described in this teknovation.biz article. 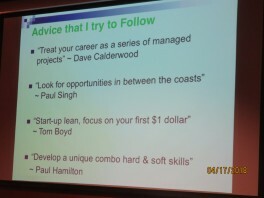 Mayer also shared some lessons learned along the way. Kate Abrahamsson and Justin Westerfield, the two graduate students, are leading the formation of Life Science TN’s Academic Alliance in East Tennessee. 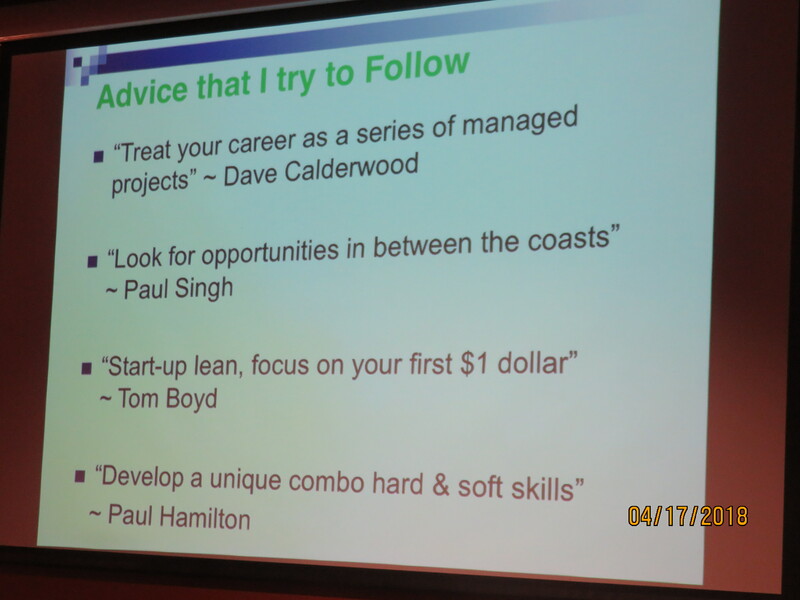 In the pictures below, Mayer presenting (left) and some cogent advice he offered (right).